I have been reading about Ayurvedic Hair Growth Regime online and some of the results I have seen have fascinated me that I decided to try it out on my hair. 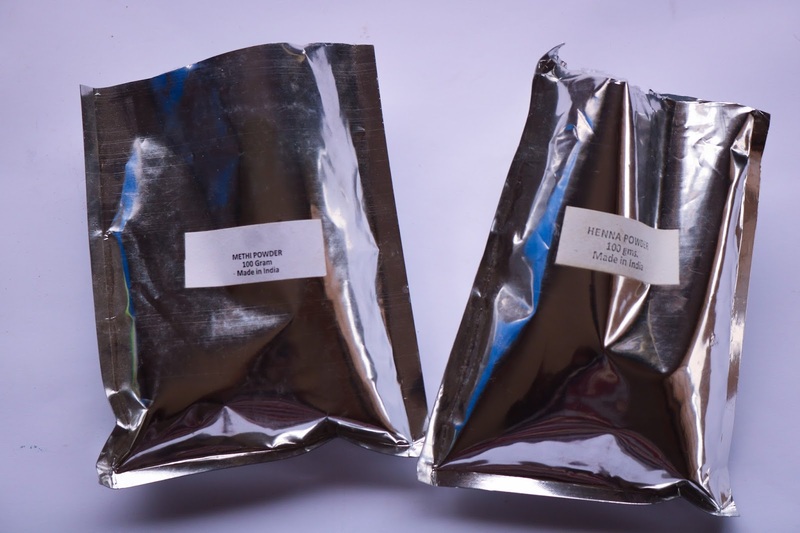 Ayurvedic regime is the use of specific herbs to promote hair growth and prevent or treat hair problems. It is an ancient Indian practice that originated over 5000 years ago. Some of the herbs are Shikaikai, Aritha, Neem, Amla, Henna, Methi (Fenugreek) seeds, Brahmi, just to mention a few. So I decided to try the Henna and Fenugreek Hair Mask Treatment. 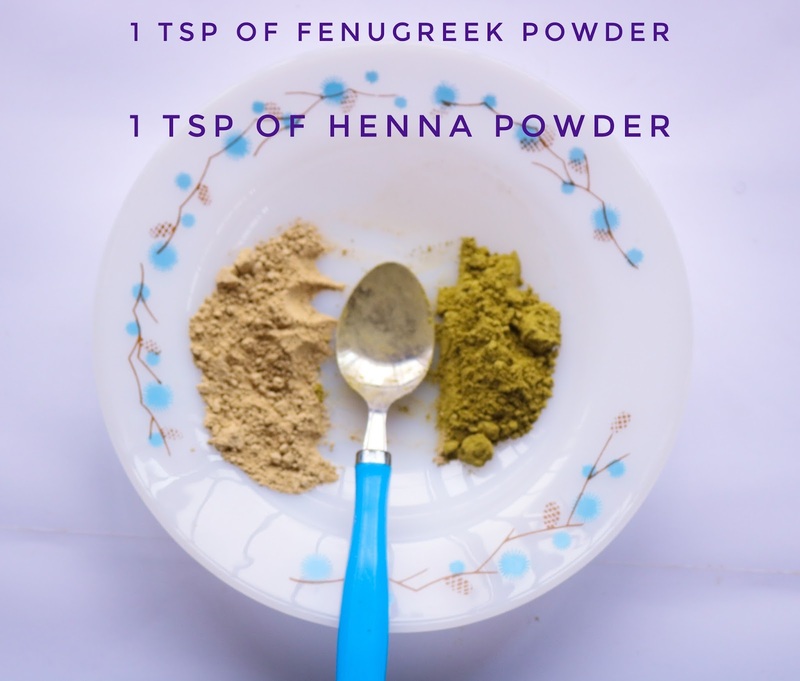 I bought 100gram of Henna and 100gram of Methi (Fenugreek) powder from Beautiphic, an online beauty store here in Nigeria. Henna is a good natural hair dye that won't permanently alter your hair. It improves the strength of the hair, soothes the scalp, reduces hair loss, prevents and treats dandruff and itchy scalp. Fenugreek is also good at preventing and treating dandruff. 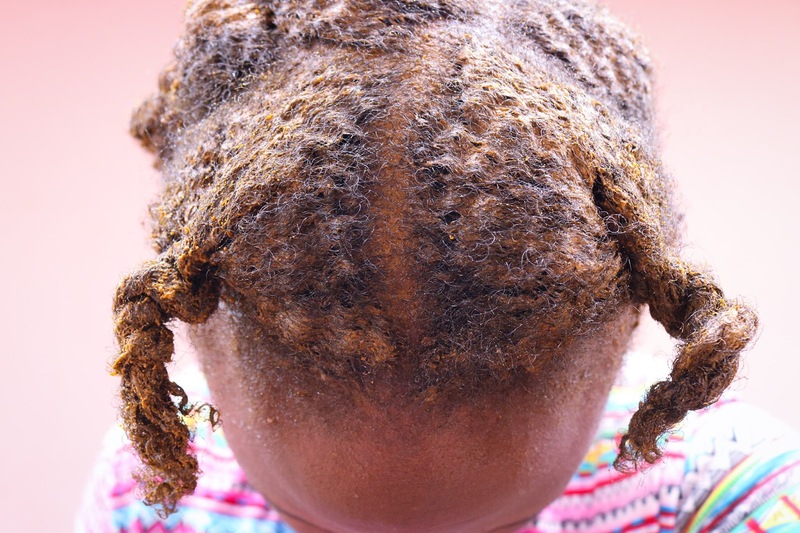 It promotes hair growth and strength as well as conditions and nourishes the hair. 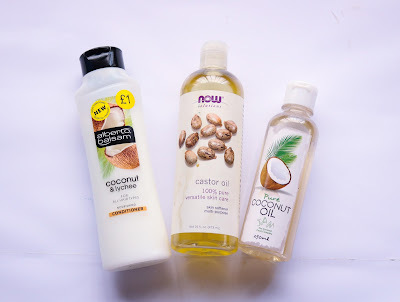 Coconut oil penetrates the hair shaft and conditions the hair. 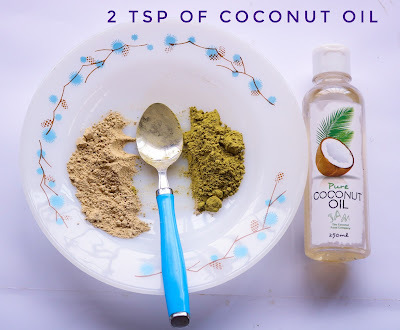 It improves scalp health, supports hair growth and adds shine to hair. 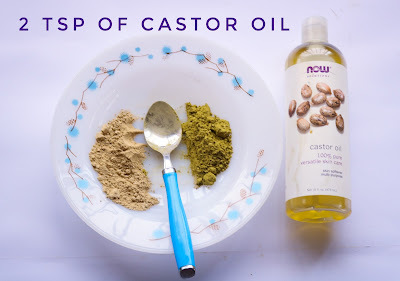 Castor oil is a thick oil that increases hair growth and controls hair loss. It is a good emollient and moisturizer. It fights dandruff and itchy scalp. Please note that I did not add water to the mix. 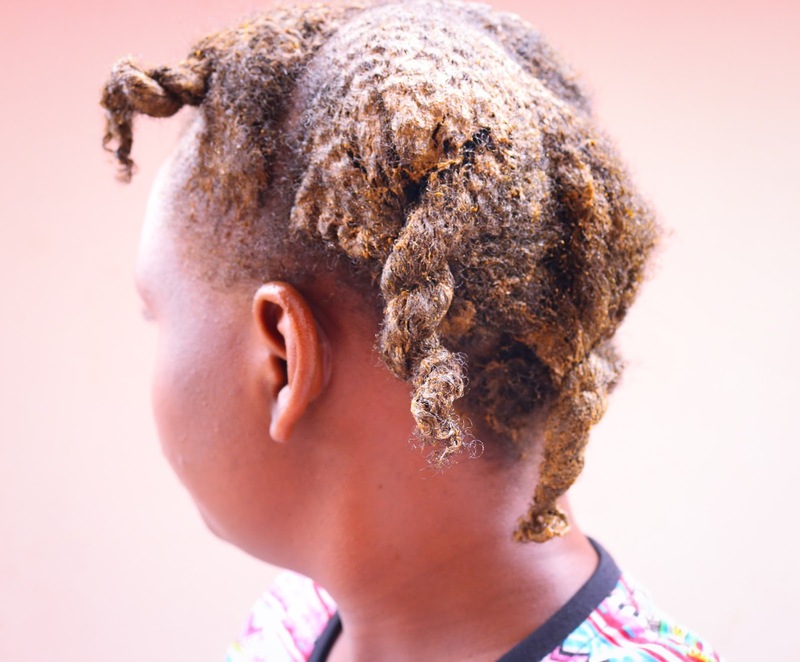 I sectioned my hair into 6 to make application of my henna and fenugreek hair mask easy. Covered my hair with a nylon bag. Please use a disposable shower/plastic cap if you own one. This hair mask stains. Save yourself the trouble of endless washing. The battery of my camera died at the point of covering my hair with a nylon bag so no more pictures (sorry). 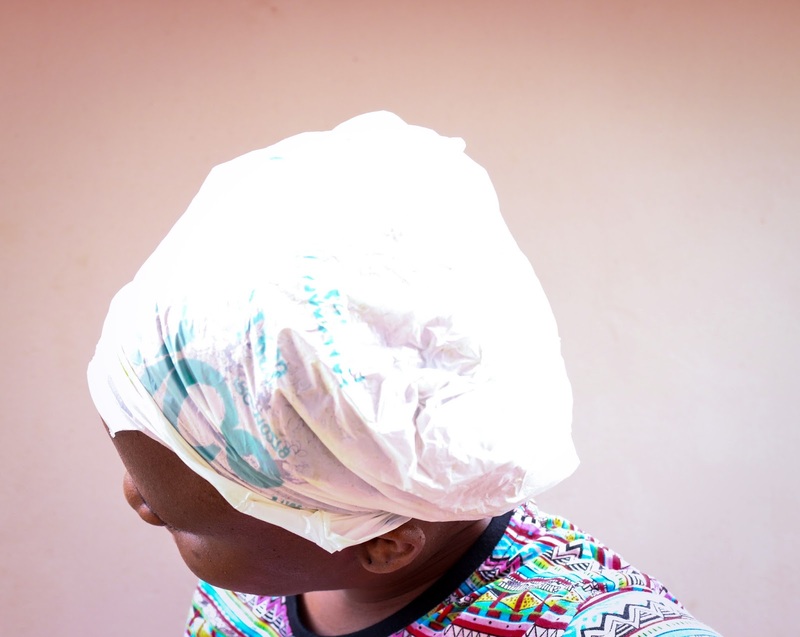 I then covered the nylon with a shower cap and wrapped with a towel to trap heat. I left the hair mask on my hair for 1 hour and then rinsed it off with cold water. I DIDN'T wash my hair with shampoo or cowash, I just RINSED it off. My hair after I rinsed off the hair mask and I styled it. My hair was so soft and easy to comb. I was surprised by how soft my hair was after using the hair mask. 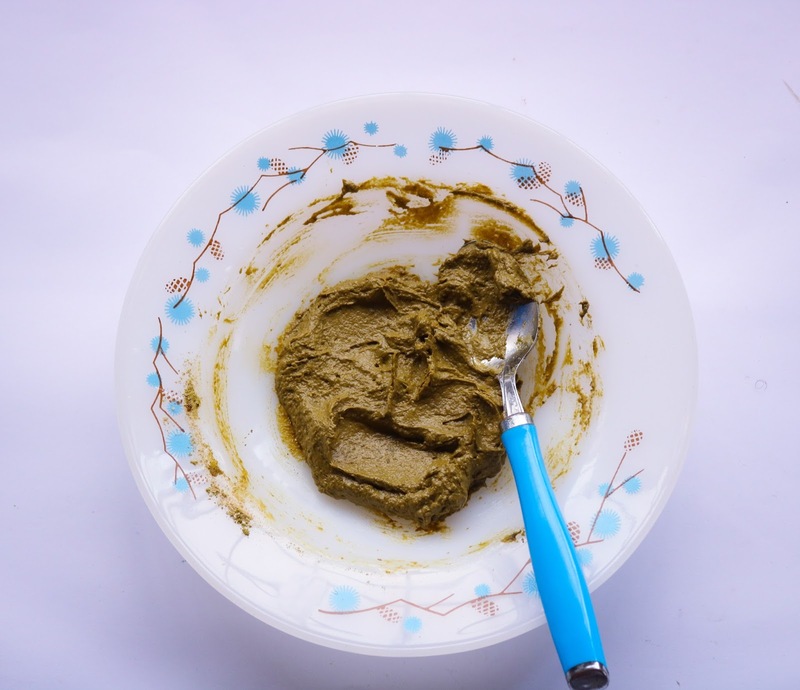 I have read reviews of people who had to follow up this henna and fenugreek hair mask treatment with a deep conditioner to soften their hair. My hair was also very shiny and curly and I was also able to put my hair in a bun for the first time. 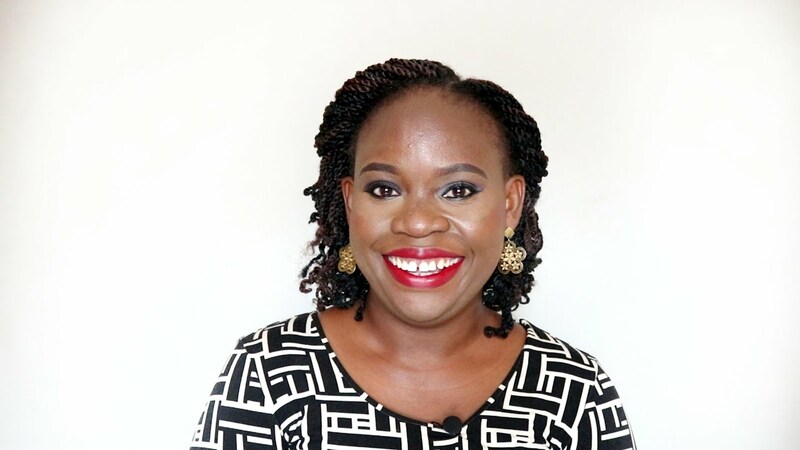 My hair was soft and easy to comb after the treatment. 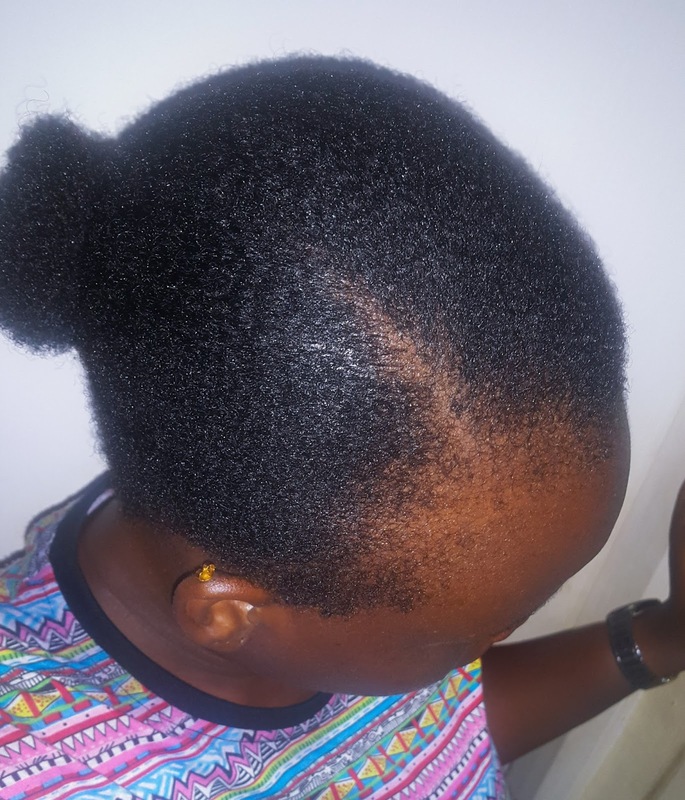 I did the treatment on Saturday 9th December, 2017 and 3 days later my hair is still soft and easy to comb. I was able to comb my hair into a bun. Something I hadn't thought to do or try before I applied this mask. It strengthen my hair and gave it shine. 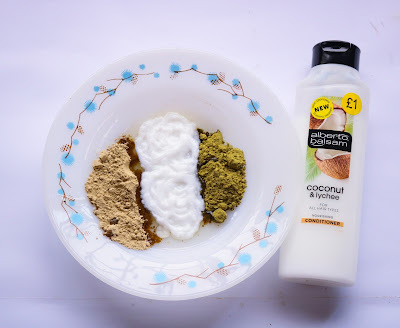 I'm going to add this hair mask treatment to my hair regime by doing it once or twice a month. And add some essential oils to the mix next time. 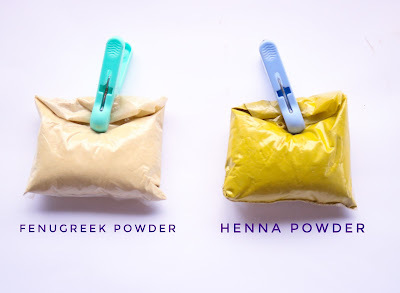 I've been itching to try Ayurveda powders on my hair, I think these are perfect. Your hair is so dark and looks so moisturised. How often can I use it? Kenny, you can use it once or twice a month depending on you. I think your hair will love them. Thanks for stopping by. This looks good. I cannot wait to try it.